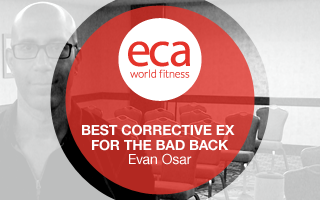 During this video, the fitness professional will discover the the biggest myths surrounding low back pain and dysfunction and why this myth may be the exact reason their clients experience low back problems. If you want to help your client improve their golf or tennis game you must improve their thoracic rotation. If you want to improve your athlete's performance whether they play baseball, lacrosse, or soccer, you must improve their ability to rotate their thorax. If you want to help clients walk, move, and live life with greater ease and less discomfort, you must improve their thoracic rotation. 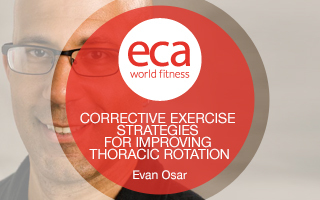 In this interactive session, you will discover the reason why so many individuals lose rotation and how by understanding and applying the principles of the Integrative Movement System™ you can improve your client's thoracic rotation. 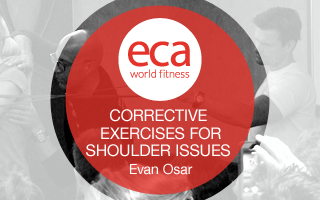 You won't think the same about thoracic rotation after this session. If you work with the baby boomer and senior populations you understand that knee pain is one of the most common orthopedic issues keeping individuals from walking, biking, and/or performing daily activities. The fitness professional can be instrumental in helping these individuals to discover solutions to improving their knee function while helping them progress towards achieving their goals. During this session, you will learn why your clients develop knee issues and discover a corrective exercise strategy to improve your client's stabilization and movement patterns. 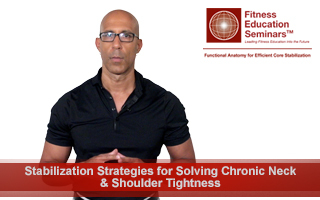 During this video you will discover why so many individuals develop non-optimal neck and shoulder stabilization strategies and how this relates to the occurrence of chronic tightness and dysfunction. In this 2 hour video the fitness professional will discover how to identify the common signs of psoas and glute dysfunction and the corrective as well as progressive exercise patterns for improving functional stability of the hip complex. Perhaps no region of the body has received more attention in the past decade then the core. However, despite this increased attention and focus on 'core stabilization' exercises, incidences of low back pain and chronic tightness of the low back, hips, and shoulders remain relatively unchanged.